Menopause is a natural part of being a women, but it’s not always the most fun part. Fortunately, there are many ways to greatly improve your transition into menopause. Symptoms. Women experiencing the symptoms of menopause experience hot flashes but have cold hands and feet. They also notice changes in their behaviour such as becoming irritable. Home remedies. Because patients have estrogen deficiency, a diet with phytoestrogens such as soy milk and flax seed is ideal. Aerobic exercises for at least thirty minutes three times a week help reduce hot flashes. Naturopathic treatment. Since hormone replacement therapy poses a lot of adverse effects to a woman’s health, a naturopathic method is much safer. Women, even before experiencing menopause, should seek naturopathic care to relieve them of eventual symptoms. Phil: When a woman is entering menopause, what is she experiencing that maybe she may not want to be experiencing? Tehseen: Right. Menopause, generally people are coming in with hot flashes. That’s the number one thing where they’re feeling very hot. They may be feeling irritable, and having mood swings. They may be actually feeling hot but have cold hands and feet, which is new for them. They likely say that they are irritable and not feeling like themselves. That’s usually what I’m usually seeing when people come in. And it is very difficult for them, for sure. Phil: What are some things they can start to do on their own to relieve some of those symptoms? Tehseen: Right. 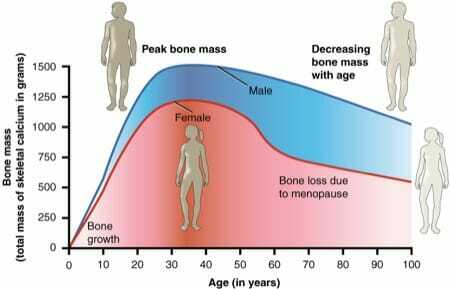 A lot of times women with menopause have a deficiency of estrogen. We want to add phytoestrogens into their diets. Those are things that help balance estrogen in the body. Some things like that would be organic soy milk or soy sources, such as soy beans, flax seed, grout, which is better digested, and alfalfa. Those are some of the things that they can start to have that is going to help with estrogen balance. Also exercise is really, really good for decreasing symptoms of hot flashes. Aerobic exercise, specifically thirty minutes a day, at least three times a week, has been linked to decreases in hot flashes symptoms. Things that they can do is like biking, running, dancing, anything that they find fun. Phil: Going beyond that, if they are experiencing pretty heavy symptoms, and they want to see a naturopathic doctor, what would you do that they couldn’t do themselves and that conventional doctor would not do for them? Tehseen: Naturopathic doctors don’t think of menopause as a disease process per se. A lot of times, people or women outside of North America go through menopause as a transition phase which is what it is without having any symptoms at all. For North Americans, a lot of the time they are having… having these experience and feeling the hot flashes and the adverse signs and symptoms of menopause and they’re recommended to have hormone replacement therapy. Now even though hormone replacement therapy is effective in reducing these symptoms, it can increase chances of cancer at times. There are a lot of natural ways to work on menopausual symptoms, so that you’re avoiding hormone replacement therapy. A lot of that is focusing on diet and nutrition, as well as hormone balancing. This can be done on the onset of menopausal symptoms, but a lot of times it is even better to work with a naturopath before menopausal symptoms occur so you avoid the process, the discomfort all together. There is definitely a lot that we can do. Phil: Naturopath would love it if everyone came in before… before they were starting experiencing some pain. Tehseen: It would be great because we could catch things before they occurred and prevention is what we focus on most. Phil: It does sound like you can feel pretty confident that you can relieve these symptoms of hot flashes and things with a little naturopathic work.